OrneLGA: Cara Delevingne, cheers-to a new story! Cara Delevingne, cheers-to a new story! 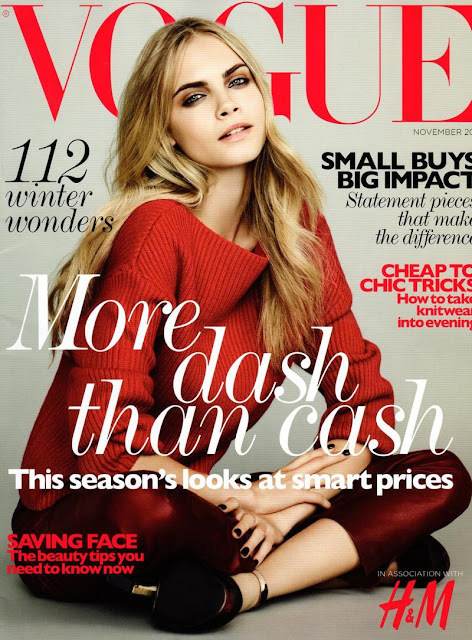 Cara Delevingne covers for the first time Vogue USA on her ow for the July 2015 issue, and she confesses a lot of intimate stories in an interview that was published on the magazine website on the 19th of June and that you can read here, I decided to give my opinion about it because it´s absolutely shocking and to support her as I believe she is the most talented model of the decade. I remember that one of my first posts on this blog was about her red carpet style about a year and a half ago. Back then, Cara was an icon of fashion, she used to rock red carpets by bringing back the female suit, but managed to be carefree, and I totally admired how versatile the situation was. Making us believe that she loved some couture outfit, but leaving the show wearing sneakers and sweats! That made me gain such a respect for her, that is definitely talent in a model. In a way it´s kind of acting as well, which makes me think that she´ll do quite good in her future commitments in the acting field. The truth is that Cara confessed that she was not always that confident self she made us believe, in fact she did suffer a lot while in the process of adolescence. She was born in an upper-class family but she never fitted there. Then she reveals that her own mother suffered from an addiction to heroine and is still struggling to get over it. This made her grew up faster than the usual. As regards school, she suffered a condition known as dyspraxia what made her harder to pass examinations. She was then sent to a boarding school that might have been a nightmare. I had to copy this part because it made me laugh: "If you had a Chanel bag there, you´d be bullied" Can you imagine? In the end, she dropped school in order to find a job, which, as we all know, ended up being a model. This was a hard ride for her, being accepted took her around a year and afterwards the problem of being photographed by unprofessional male photographers appeared. To her luck, Christopher Bailey, gave her the chance of her life. The rest is history. This is probably one of the worst parts, when she confesses that she suffered from depression and anxiety, a condition that is quite frequently in teenagers. It´s hard to find out that the person you thought that was the most confident with herself and carefree, was actually struggling with depression and drugs. She even harmed herself to the point of bleeding, and combined it with a huge amount of drugs, wanting to die. When her hectic career started. her addiction continued, specially during fashion week, she was unstopable. Parting as if there was no tomorrow.She had to take a break due to a case of psoriasis, which she describes as the way she felt inside expressed on the outside. Can you imagine feeling this about yourself? The story continues with an attempt to suicide that luckily it was never put into practise. Now, she realised that this only made her feel worse. Cara suffered a lot of problems hundreds of teenagers are suffering at the moment and probably think that it´s the end of the world. Well, it´s good to know that it isn´t, this model overcame this circumstances is here tell her story and help other people do the same. There is always a way out that doesn´t involve suicide, self-harm, drugs, alcohol... Look for it! Ask for help! I admired that she told us her story, not many people dare to specially after such short time. Reflexion about, maybe it´s not you but a close friend the one who needs help. I decided to write this article as I know a lot of people are suffering and maybe spreading the word of "you can do it" could help. But of course I didn´t forget about my fashion buddy's, Cara also announced that she will no longer work on the fashion industry only as she is moving to the big screen by saying " I´m not sure I understand what fashion is anymore" and "The thrill of acting is making a character real. 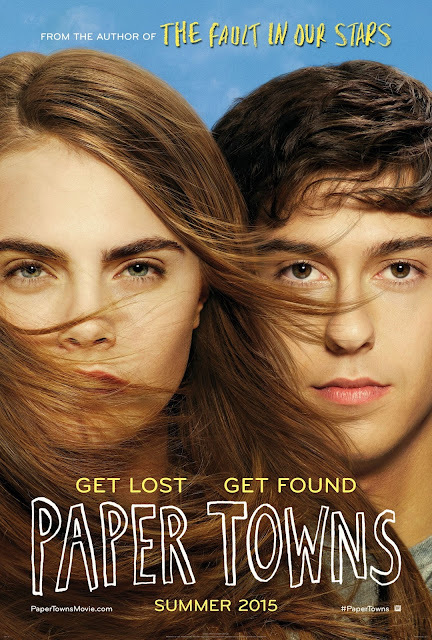 Modelling is the opposite of real, it´s being fake in front of a camera".She has a lot of movies in her agenda, but the most recent one is "Paper Towns"( on theatres on the24th July) based on the book with the same name by John Green. Personally I´m so excited about it, I got the book and I´m trying to finish it between my exams and other duty's, but for sure I´ll go the the theatres. We will miss her covering every city, but of coruse we wish her good luck for this new era, as she said "cheers to a new story"
Let´s take a look at her most memorable moments. 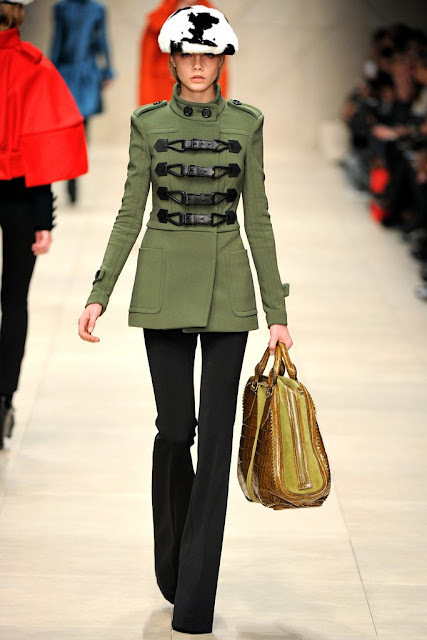 First catwalk in 2011 for Burberry. On her first Vogue UK cover back in November 2011. Burberry campaing with Eddie Redmayne (now winner of an Oscar) back in 2012. Walking on the Victoria´s Secret Fashion Show for the first time in 2012. Model of the year 2012 at the British Fashion Awards in Burberry. For DKNY, with who she has worked on several occsions though the years. At the 2013 Met Ball in Burberry. On the first cover of Miss Vogue (UK) issue ever! On the cover of the LOVE magazine with Kendall Jenner this year and another one from 2013. In one of her designs for Mulberry. At Cannes 2013 Film Festival in Burberry. Advertisement for Tom Ford Black Orchid perfume. An editorial by Mario Testino for Allure magazine October 2014. The Delevingne sisters at Poppys wedding. At her sisters´, Poppy Delevingne, wedding last year. At the GQ men of the year awards 2014 wearing Burberry Prosum. On the september 2014 cover of Vogue USA with Joan Smalls and Karlie Kloss. Then becoming the face of "My Burberry" along with no other than Kate Moss. Walking for Topshop a brand she had worked with on several occasions. 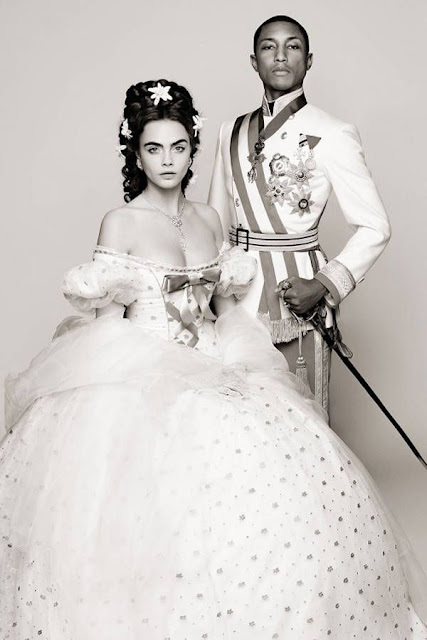 In one of the many Chanel campaings she has done, along with Pharrell in the character of Princess Sisi that also has a short movie. At the 2014 British Fashion Awards with her sister Poppy Delevingne, Joan Smalls, and Karlie Kloss, where she was honored with the "model of the year" award for the second time. One of the few celebritys photographed by Mario Testino in his Towel series. One of her latest covers for Vogue UK on april with fellow models Georgia May Jagger and Suki Waterhouse. At the 2014 Brit Awards in Saint Laurent. Hitting 10 Million followers on Instagram earlier this year. In a recent campaign for Tag Heuer along with a Lion, her favourite animal. At the 2015 Met Gala in Stella McCartney. Paper Towns movie, where she plays the charecter of Margo along Natt Wolf.